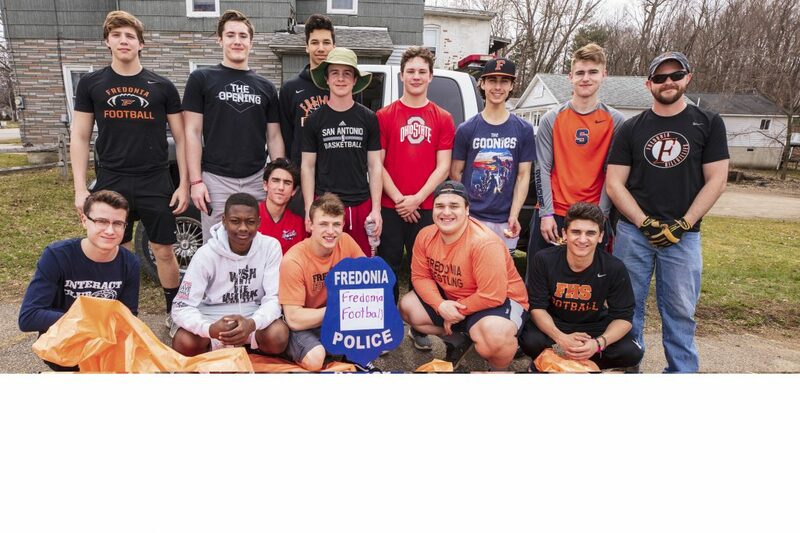 Members of the Fredonia High School football team, who were singled out for praise by event organizer Mike Hodkin because they took on extra cleaning precincts after they finished their assigned area. 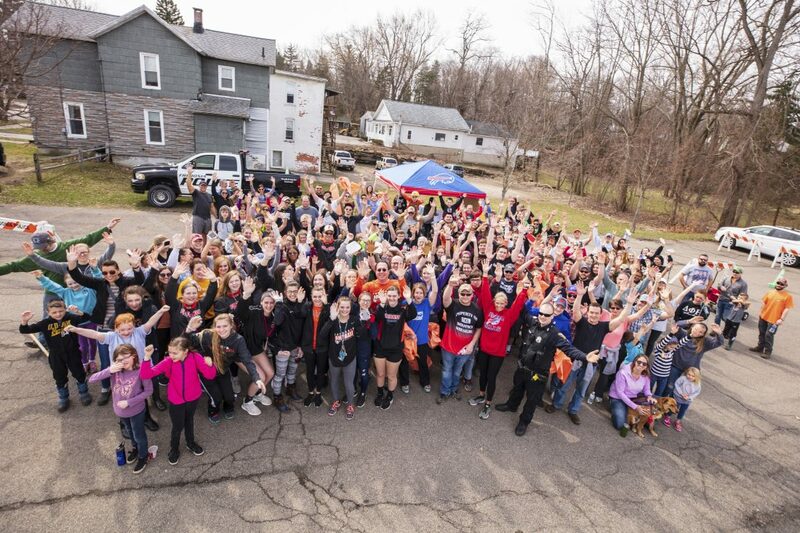 Close to 200 volunteers showed up on April 7 for the second annual Community Cleanup hosted by the Village of Fredonia Police Department. A group photo of the volunteers at Fredonia’s Community Cleanup. Unfortunately, the advisory proved to be necessary. Hodkin encourages everyone to check out the “Community Cleanup” photos on the “Village of Fredonia Police Department” Facebook page.